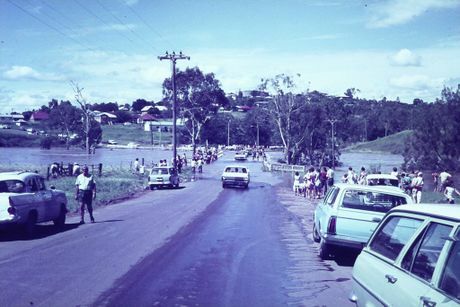 LOST Ipswich is a Facebook site helping residents to connect with their past and embrace it. Ipswich people are known for their passion for history, heritage and past glories. The city has grown in many positive ways but there is a growing sense of nostalgia and desire to cast a longing eye back at a lost era. Ipswich identity Greg 'Jacko' Lyons has a long-standing interest in history. He administers the site Lost Ipswich and discovered he is not the only lover of bygone times. 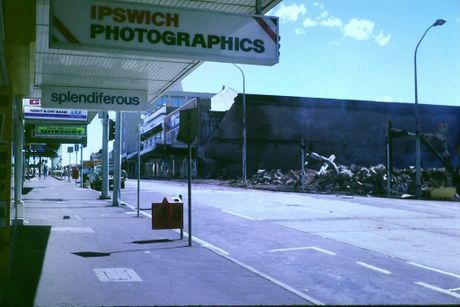 "Lost Ipswich is a Facebook site that has just gone gangbusters," Lyons said. 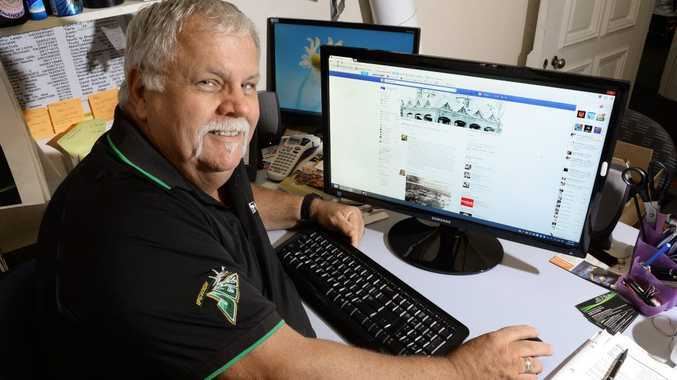 "It came about because I am on a Facebook site called Lost Brisbane, because I am an ex-Brisbane boy. "I thought that Ipswich could use something similar. I've cranked it up and now we have just under 2000 members on the site. "Everyone that comes on is just ecstatic because it looks at old photos and stories. We also encourage people to share their photos and stories. "Now a person from the library who looks after Picture Ipswich has seen the benefit of our site and wants to be involved with us because they are seeing a lot of photos that have not seen the light of day." Lyons showed the QT two pictures that were taken by a lady's father back in 1974. 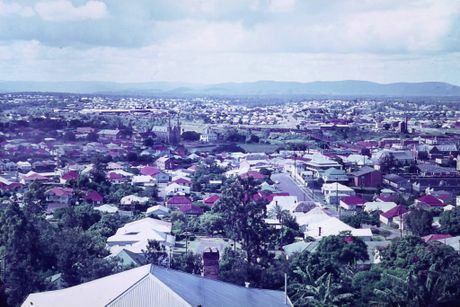 The photos were taken from Denmark Hill back towards Ipswich Grammar School and within the frame is a former Queensland Times building. "They used to call it the QT bulk store because they kept paper in there," Lyons said. "The other shot was taken a bit further around looking more towards the city so you can St Mary's. It is interesting to see where Riverlink is now, so you can see the old railway yard and the gasworks in its entirety." Members often send in photos intrigued by particular buildings. 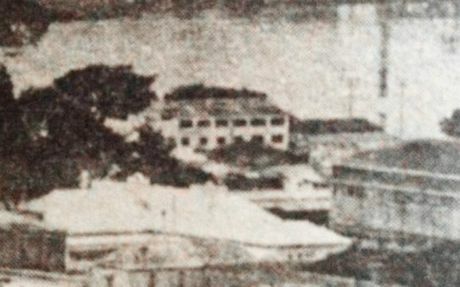 The identity of some buildings remains a mystery. "We had an interesting photo turn up that is from the QT. 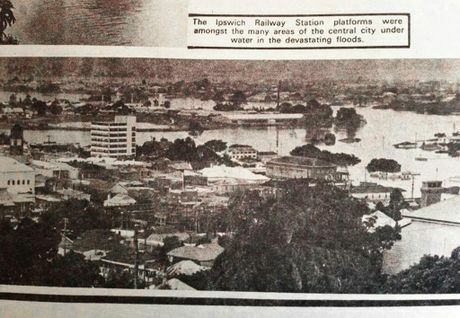 It was a 1974 flood edition lift-out," Lyon said. "This photo has had hundreds of (Facebook) posts because there is a brick building that appears to be in Marsden Pde and no-one knows what it is. We've had people who have lived in Ipswich all their lives and they don't know what it is." Lyons said he had a "thirst for knowledge" and a special interest in old shops. He said there was an increasing interest in the past among Ipswich people. "I think it is a lot of people all of a sudden reminiscing," Lyon said. "I spoke to an ex-Ipswich person who lives up the coast and I mentioned this site. Now he curses me because he is a government employee and he is up until midnight every evening on the site. "The first night he went on he found eight people he had lost touch with. It is a way of finding people you went to school with or people you went roller skating with at the very first skate rink in West Ipswich. "People have a real need to find out about the past." Lyons is an upbeat guy who ensures respect for all is observed. "I am very big on no negativity. It has all got to be positive," he said. "So there is no council bashing and no downgrading of anyone. "If people think the council wrecked it 20 years ago, big deal. That is life. Let's move on and talk about what it was like in those days. "It is just amazing some of the photos that are coming out of the woodwork. 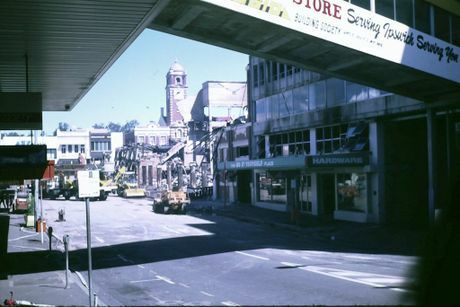 Risson Produce once had a store in Bell St and now we have a heap of photos from them." On February 22 there will be an informal get together of Lost Ipswich members from noon at Jets Leagues Club. Those attending are encouraged to bring in old photos. 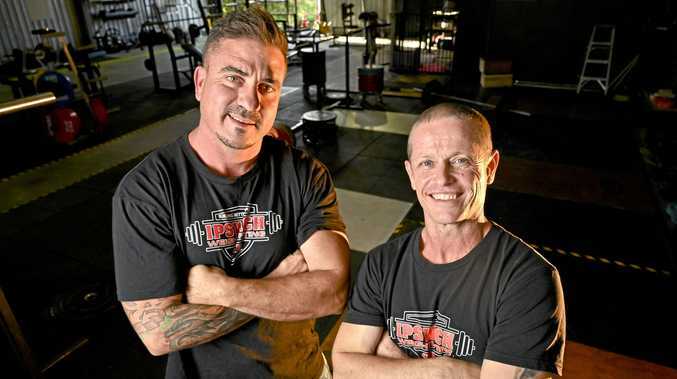 News For Steven Graham and Adrian Ramond, who both brought home gold medals and new national records, the rewards go beyond a place on the podium. Environment Hemp plants could be the key to treating water contaminated by PFAS.